Ubisoft is taking us there again, next week, with Far Cry 5. 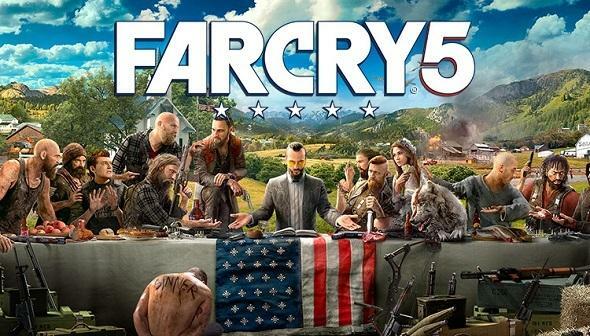 The 11th game in the Far Cry series (yes it has been that many), this Far Cry seems to be changing from previous games in the series. 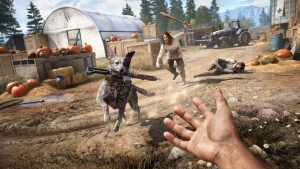 With the marginal success of Far Cry Primal, Far Cry 5 seems to be getting back to its ambitious roots in storytelling and design, surpassing its previous sequential game by leaps and bounds. 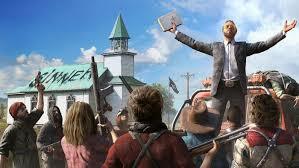 Here is why Far Cry 5, will be better than Far Cry 4. First off, the storytelling and location is varied from previous Far Cry titles. We are differing from 4 in that we are going to an actual state, Montana, other than a re imagining area like 4 in the Himalayan mountains. We have caught glimpses of who we will be, the local town sheriff, and who he is facing. Not some tyrannical ruler, but rather a Preacher, who’s initial motives draw substance, but goal is destruction and chaos. This story line is smaller and more focused than a grand plan or conflict as put in other games. There is a deep sense of comradery amongst the town folks, and being the sheriff, you have deep connections to the inhabitants. This setting is far from the usual exotic locations in previous games, it is something perhaps relatable and down to earth. Gameplay is different and Blended. 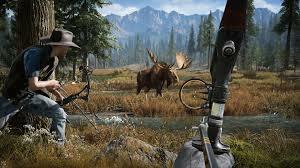 In previous Far Cry games, players had an initial goal or objective and the game cascaded down from there. With 5, they are taking a more open world, open objective approach. The player is already established in the narrative, however the starting off point holds no objectives or direction – just simply go out into the world and experience. Creative director Dan Hay wanted to create a game where 2 people would start the same, but take different paths. This is a subtle spin to the Open World genre, and provides free flowing of exploration as well as replayability. Prior Far Cry games required outposts, notably bell towers in 4, to open areas for quests, items and interactions. Far Cry 5 will take on a more small-town feel. Instead of outposts, relationships and trust must be established to open new areas. These locations could be small parts of towns, or just a group of houses. It seemingly gets away from the repeatable outposts from previous games. 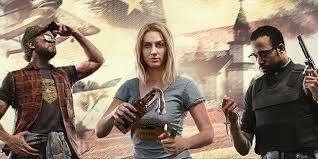 Far Cry 5 has a new customization at the very beginning, where you can customize what you will look like past just being a man or woman. As you progress in the game you will encounter people who you must win over for your cause. You can then use those people, and their specific skills, to assist you in the game. This is an expansion on the gun for hire system. Certain townsfolk might do better in a face on attack, while others do better with stealth. Beast taming is back again – with the same choices of animals and their unique offerings in game play. We have already seen the dog companion with the ability to retrieve weapons for you. Various weapons of local fare are included, as well as the return of melee weapons. A new addition, better than in 4, is the ability to fly a plane. This is leaps and bounds better than the gyrocopter. Of course, in an open world game, you have side activities. With 5 you can fish or possible hunt. All activities that are native to Montana. There are ATVs to drive around the mountainous terrain. The scenery is accurate, as the design team visited Montana to get that authentic feel. All of this seems more common and activities that the player would normally do in their hometown. Some modern activities will also be available, like wingsuits and parachutes. As you make amends with the locals, quests will focus on repairing or supplying different parts of the towns. Completing these activities, with the reward of companionship, or expansion of areas – provides complexity and really makes it worthwhile to play the game. I have been a longstanding player of the Far Cry series; all games have been fun and great to play. Far Cry 5 doesn’t seem to disappoint. Being as I live in Colorado, the setting is closer to home, and more down to earth than previous games – and that speaks to me more. I’m looking forward to the outdoor immersion while at the same time having fun taking out the bad guys. I’m also looking forward to a new design and feel from the past Far Cry games, which seemingly have been recycled over and over. Far Cry 5 comes out March 27th. Will you be picking it up? Make your comments below. And as always follow ThisGenGaming on Twitter @TGGamingReviews for all the news, reviews and commentaries in the gaming industry.